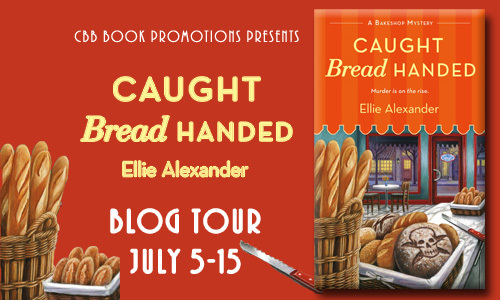 Welcome to my tour stop for Caught Bread Handed by Ellie Alexander! 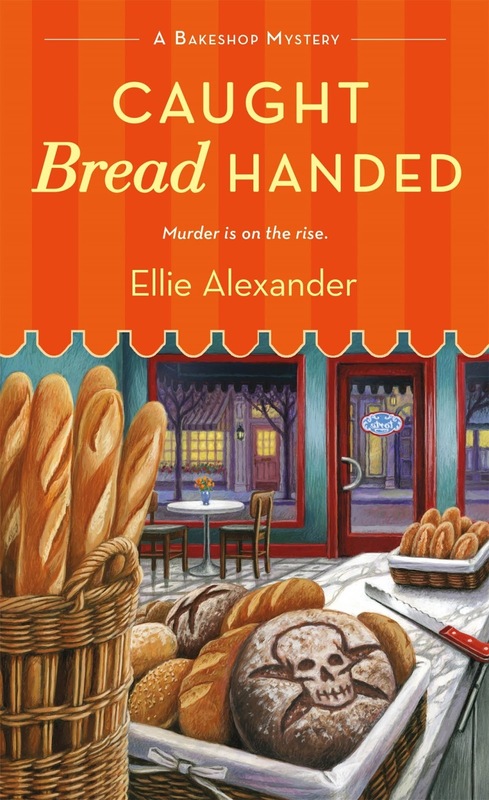 This is the fourth book in the Bakeshop Mystery series and released June 28 by St. Martin’s Press. 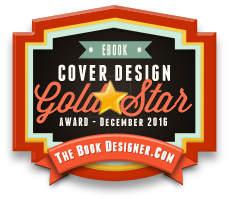 The tour will have reviews and excerpts as well as a fabulous giveaway! You can find more information and the tour schedule on the tour page. The kitchen was practically spotless with the exception of the spices she was organizing and a bag of almonds waiting to be placed back in the cupboard. I wasn’t prepared for that question. “Uh. Fine. I think.” I picked up the bag of almonds and walked to the far side of the kitchen. “I know. 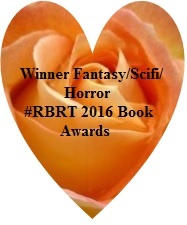 I wondered if maybe he was reconsidering.” Mom placed the last jar of spice on the rack. “And you?” Mom’s voice was soft. “You’re trying to get rid of me, aren’t you?” I hoped that making a joke would lighten the mood a little. Before we could continue, the door swung open and Carlos came in. Speak of the devil. 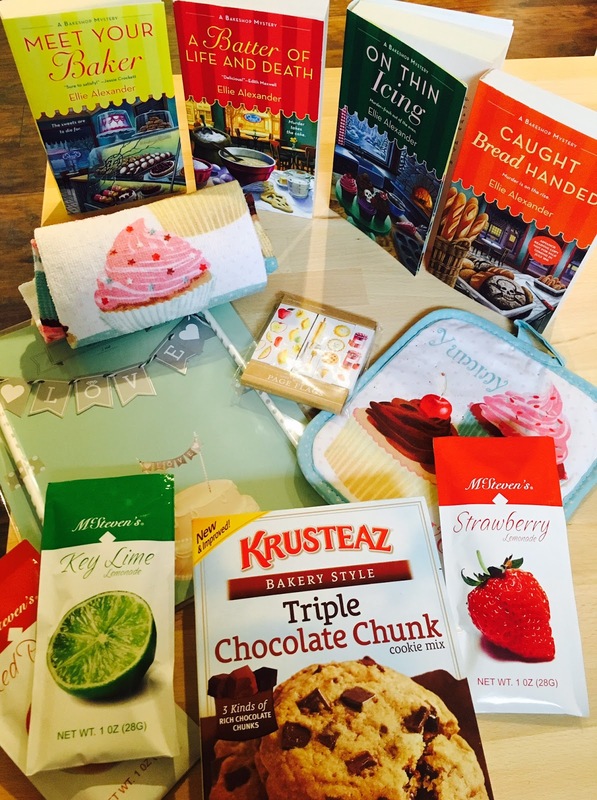 Get cozy novel with recipes and stuff for the kitchen. NICE!!! !